Picking colors out is always the most challenging part of my design process so I love when I find some color inspiration. 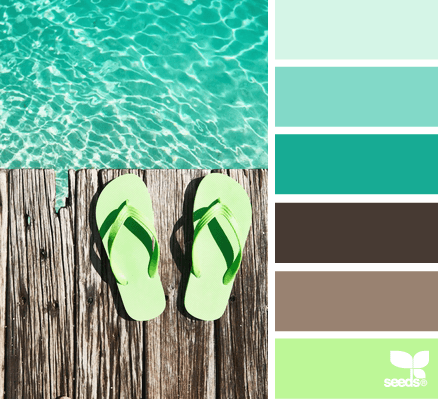 This refreshing yet serene Summer Hues palette from Design Seeds® is definitely calling out to me this week! I love designer seeds too! Could spend hours looking at the options… and your choice is divine! I do love this color combo,,, Great idea to get paint chip cards for inspiration!